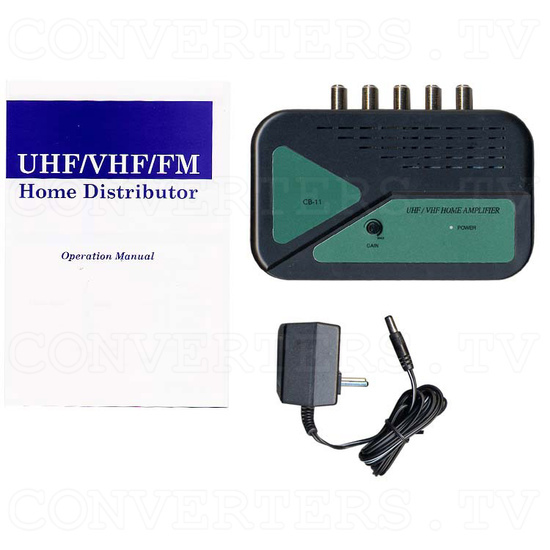 UHF - VHF - FM Home Distributor CB-11. 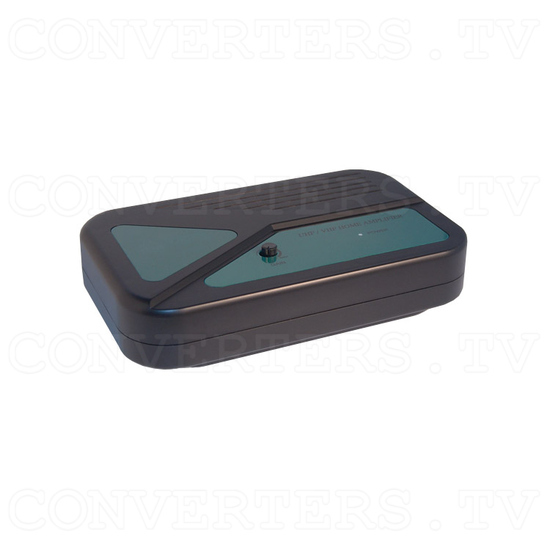 Designed to be a cable/TV full band amplification and distribution adaptor. 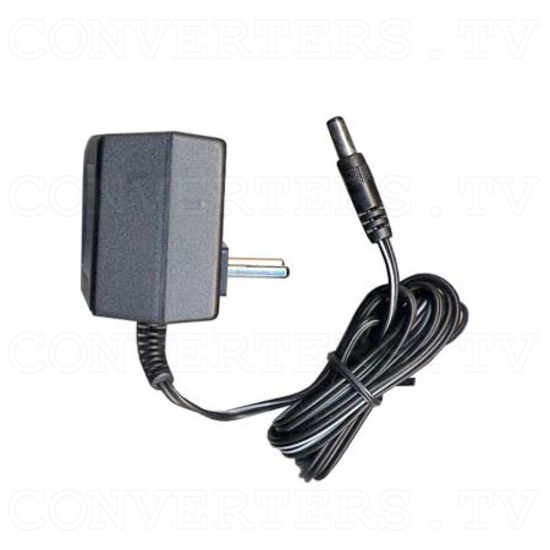 The unit has a maximum 20 dB gain adjustment for each output. 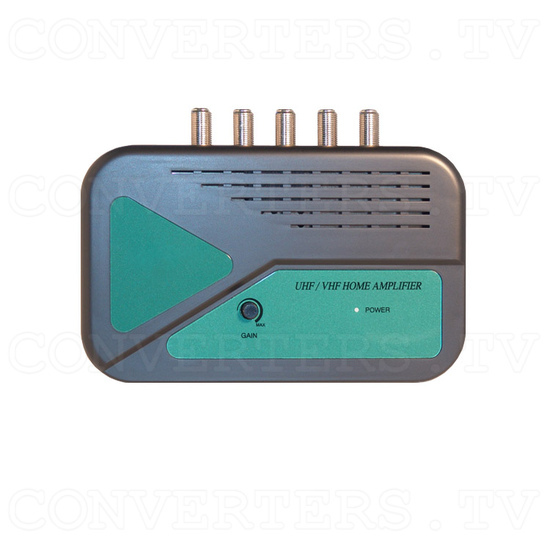 Designed for cable /TV full band amplification and distribution adaptor powered, sleek exterior, ideal for indoor use. SMT Technology ensures high reliability and durability. RFI shielded metal housing provides excellent isolation to external interference. 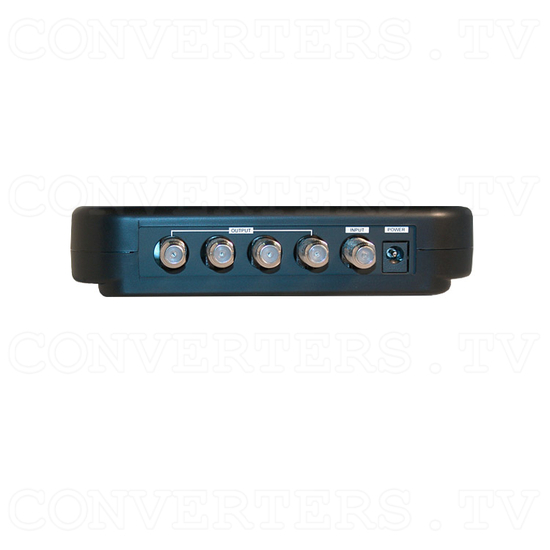 Maximum 20 dB gain adjustment for each output.